How to draw a veiled woman with a pencil. This is normal I do, because by starting the first impression eye painting will be more visible so you can correct the character of his face with more thorough. 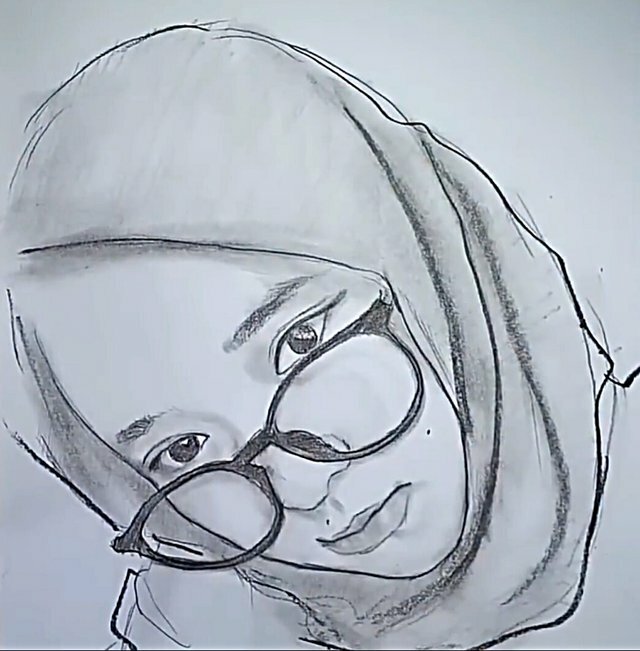 You can use 5b pencil to give black effect on the eyes, 5b pencil effect can give thick black effect until the eyes look sharp. This is the appearance of the eye element drawing. Notice in the picture above, the image of the face has been seen live by finishing the eyes first. 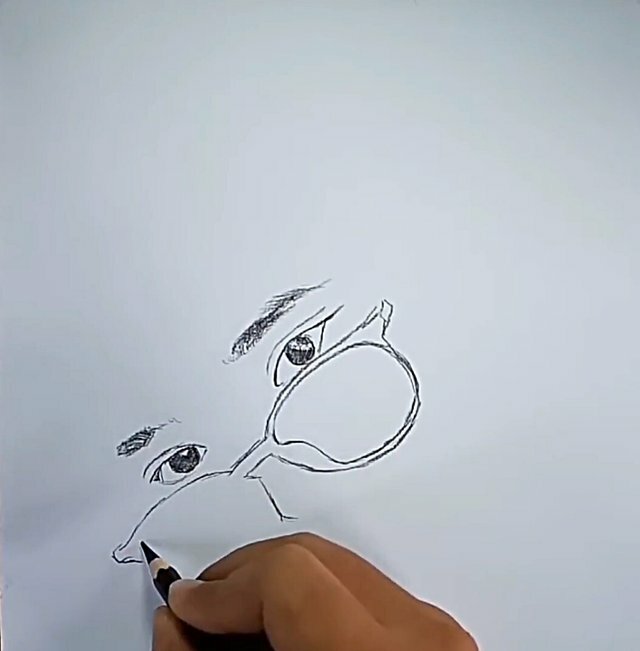 We may take 5-10 minutes to complete the eye image. It's easy isn't it? 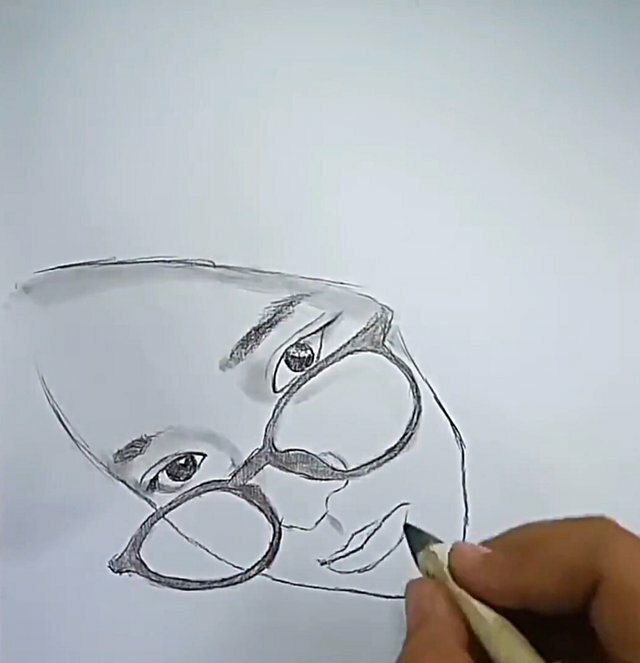 The next face draw technique is to give a light dark color to the facial element, you can use 5b pencil, I used to use 5b pencil because this pencil can give dark effect quickly. But you also have to be careful, the pressure of the pencil is too strong so the black effect will appear faster. So that the shadow will look dirty, you must be careful when drawing faces. If you still can not adjust the pressure on the pencil, you can use 4b or 3b pencil, but you need to work in a long time. To watch the performance you can see the following picture: Dark dark color on 5b pencil. Next you need to give a light dark color again but this time you use 2b pencil. Use this pencil until the face looks plastic, you can definitely see the difference before and after giving pencil 2b. Always be careful when giving the effect of dark light, if there is a face element that does not feel dark enough then the element is shaded. In the lip element you also need to work on the shadow using a 2b pencil. Try to give you a good drawing of a pencil, it should not be too pressed so that the skin looks like plastic. The more you patience in giving hatching then the result will look more smooth. Continue to use 2b pencil to finish. 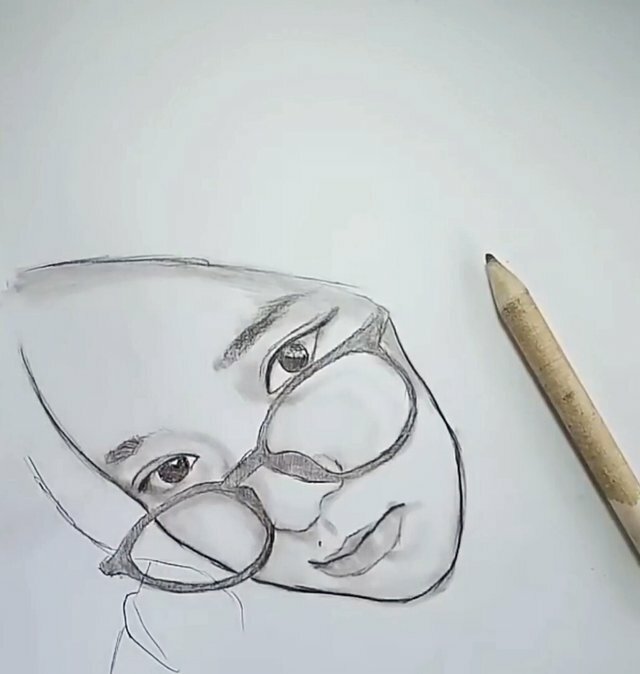 Re-edit a shadow image if there are elements of the face that are not dark enough You can use a 3b pencil but you have to give a fine pencil shadow. After the work is done, the next stage you have to work on the hijab. There are 2 pencils used to draw women wearing headscarves with pencils, 3b and 5b pencils, pencil 3b used for dark coloring, and then check which elements are darker and use a 5b pencil to give a shadow. This is the picture display. 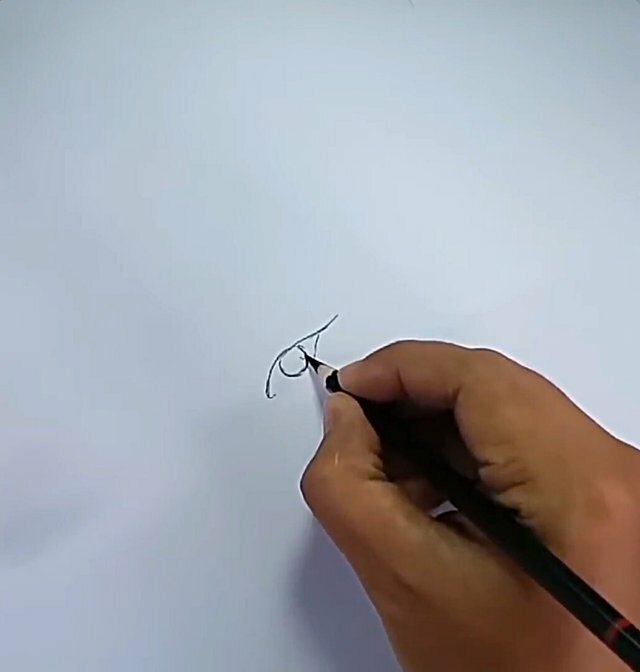 Well, that's how to draw a hijab woman with a pencil.